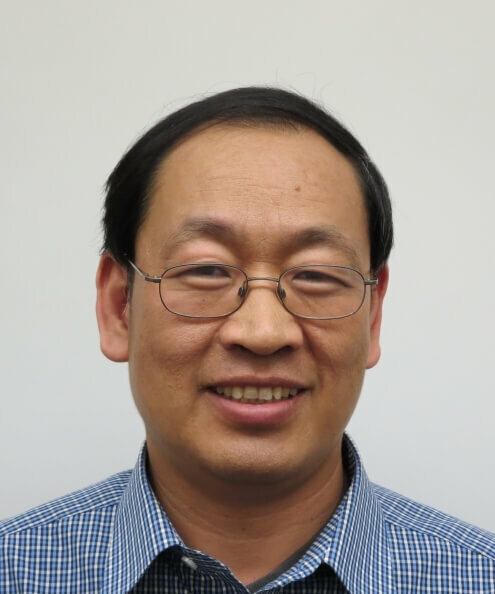 Charles Chen has been a professor at Auburn University since 2017. He works in peanut breeding, genetics and genomics. He joined the Auburn University faculty as an associate professor in 2012. His earlier career experiences include research geneticist and lead scientist for the Agricultural Research Service of the U.S. Department of Agricultural in Dawson, Ga., from 2007-2011, and senior research associate at Michigan State University from 2002-2006. During 1997-2001, he was a graduate research assistant at the University of Illinois at Urbana-Champaign. He was assistant curator of the Chinese soybean germplasm collection at the Chinese Academy of Agricultural Sciences in Beijing from 1984-1996. In 2014 he received the Outstanding Research Award by the International Peanut Genome Initiative for contributions to ongoing efforts to establish links between genetics and key traits in cultivated peanuts. In 2003 he received second prize in the Science and Technology Advancement Award of the People’s Government of Beijing Municipality. He received second prize in the National Science and Technology Advancement Award from the State Science-Technology Commission of China in 1993, and received third prize in the Science and Technology Advancement Award from the Ministry of Agriculture of China in 1990. He was honored with membership in Gamma Sigma Delta, honor society of agriculture, in 2000. From 2015-2017, he served as associate editor for both the Journal of Plant Registration and the Journal of the American Oil Chemists’ Society. He was senior associate editor of the Agronomy Journal from 2008-2011.